Thanks to Simgot for reaching out to me and providing this review unit for my honest opinions. The EN700 Bass’ look is quite unique to me, at least based on my limited knowledge of the in-ear monitor world. It reminds me of the Hifiman HE-1000 in a way, with a grill design on the shells themselves. Unlike the Hifiman headphone however, the Simgot IEMs are very much closed off and not prone to leaking sound either way as isolation is quite good on these. Do I like how it looks? Certainly, although I did go for the “safe” option of the black version out of their four available offerings. I absolutely must commend the packaging, and the small case it comes with to hold the IEMs. Interestingly, Simgot provides two sets of eartips (small-medium-large) with the EN700 Bass. Option one gives you more emphasis on midrange clarity, achieved with having bigger holes apparently. Option two gives emphasis to bass. Comfort gets a solid A rating, and due to the shape of the shell – you can listen to these in bed with no qualms. 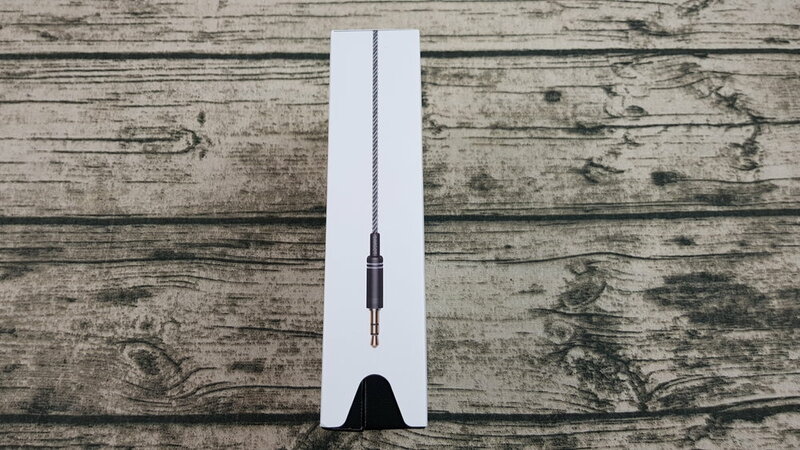 The non-detachable cable feels near indestructible and is positioned in an around-the-ear curl by default with a wrapping of clear plastic. This pretty much means you can only use this in that manner, which makes sense as the shell isn’t really shaped to be a “stick-it-in” form factor. It does retain some memory though, and is quite annoying to untangle due to how small the knots can get due to the weighty metal, but it isn’t too big a deal. I know many can comfortably wear expensive IEMs in public, but I don’t think that I would be able to unless it was quite sturdy – and with detachable cables. While the EN700 Bass does not possess the latter, it definitely fits into the former category and is at a price point where I would have no issue taking these outside. I’ll admit that when I first stuck these in my ear, I wondered why they had “bass” in their name. Sure there was bass, but it wasn’t so heightened that I felt that it should be emphasized in the marketing like it is. However, a little Googling clued me into the fact that this is just a version of Simgot’s EN700 IEM – except with more bass. So, straight off the bat I was glad that I got the bass version instead of the original. In fact, I’m told that Simgot is a company that highly values community feedback, so the very existence of this IEM is a result of people simply asking for a version with more bass. I also heard rumours that another community-feedback driven change is being made, a version with a detachable cable – but I have no evidence of such so time will tell. The soundstage of the EN700 Bass is quite good, with an ample “wide” feeling between the drivers. Imaging seems to be on point as well, with no awkward panning when listening to binaural recordings. Maybe this point is my inexperience with IEMs compared to full-sized headphones and earbuds, but there’s a definite “closed-off” feeling with the EN700 Bass that makes me wonder just how the sound would be if the grill aesthetics were actually vents. This isn’t criticism, just a personal observation. Back to the bass. Yeah, I wouldn’t say (especially with the bass-emphasizing tip option) that the Simgot IEM is especially lacking in bass. However, it’s very rounded and smoothed in presentation, quite a bit more than what I’m used to. What I mean by this is that the bass is not especially textured or focused – it’s just a presence that moves at a decent pace along with genres both fast and slow. Bass guitars, largely, sound as they should – but if a certain effect is used on the instrument (such as distortion) or if the attack is simply too fast, the Simgot IEM smooths out this characteristic a bit to make it fit into its own ability. Sub-bass extension is also not especially far-reaching, which is another trait that made me wonder just how anemic I would have found the original EN700 by comparison. Whatever the answer to that question is, I did find the bass capabilities of the EN700 Bass to be really good for casual listening, on-the-go listening and a good pairing for most genres of music. The midrange reminded me a bit of the Mee Audio Pinnacle P1 IEM that I’ve reviewed in the past. It’s quite detailed but a little recessed and thin in presentation. Lower midrange is a region that I personally dislike any dips in, and the Simgot EN700 Bass thankfully did not do so. Despite this, the crunch of distorted guitars and the bass notes of acoustic guitars lack a certain quality that makes them highly accurate from a tonality standpoint – but this is a critique that I have to really dive to make because the midrange otherwise is really impressive. Vocal harmonies usually ring out clearly and separation is really good – with both male and female vocals feeling well represented in the tuning. I will admit though that, with certain genres, it may seem like the IEMs are gelling better with the instrumental than the vocals themselves – something that I also noticed with the Pinnacle P1. I just feel that certain hectic recordings bring out the instruments more than the vocals, which take a backseat despite still being quite audible. The treble of the EN700 Bass is what I would call “comfortably extended,” with no peaks or grating sibilance to it. That being said, I do wonder a bit about this because I know that the high-end IEMs that I have tried before have been tuned to have far more “air” than the EN700 Bass – which I feel dips in this region considerably. I feel the climb between the midrange and the treble is quite linear to a certain point, and then it dips before coming back up. Do I feel that it’s too rolled off and stifling? No, but it is definitely noticeable if you listen to orchestral music or some other genres. The thing about this is that I’m a little sensitive to the climb between the mid-to-upper treble, and this IEM does not set off any alarm bells during my listening at all – and I know that would be too recessed for fans of hyper-detailed and airy IEMs. Overall, the Simgot EN700 Bass is a very comfortable listen that has impressive traits for its relatively low price point. It has a unique aesthetic that I find personally quite admirable and it has a solid construction despite not possessing a detachable cable. 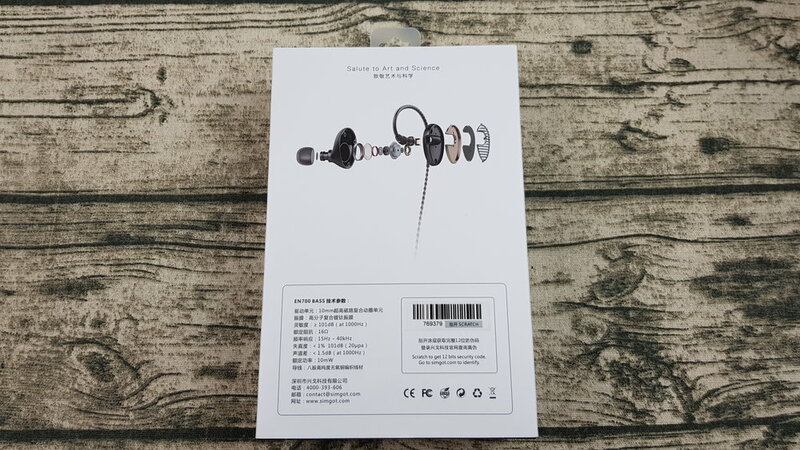 This is very much a jack-of-all trades IEM in the $100-$150 price point that is for the “set-and-forget” times we spend at home - or for use outdoors. Its identity seems to be a friendly sound signature that will not offend the general listener, and I really can’t fault them for that because it does not possess any deal-breaking problems at all. This is a safe choice for an all-rounder at its price point.